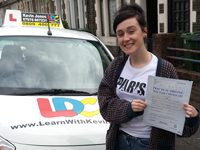 I had a block of lessons with a with a previous driving school and didn't feel like I'd progressed very far, so I began lessons with Kevin after a short break from driving. With already knowing him well through family we began lessons very well and had confidence with the way he was teaching me. I have always doubted my own confidence and he always made sure that when ever I made a mistake he told me to put them behind me. He'd always kept me calm and always had a structure to our lessons ensuring I was taking the right steps forward. As well as this I knew he was there to listen to me when I had anything I wanted to include extra into the lesson if I needed that specific practice. His encouragement was so vital to how well I was doing because without it I know I'd often let my nerves get the better of me. 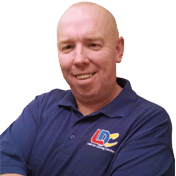 I'm a driving instructor in Cardiff, Penarth, Sully, Dinas Powis, Barry and surrounding areas.